On December 21, 1981 the world’s longest airplane made it’s maiden flight. 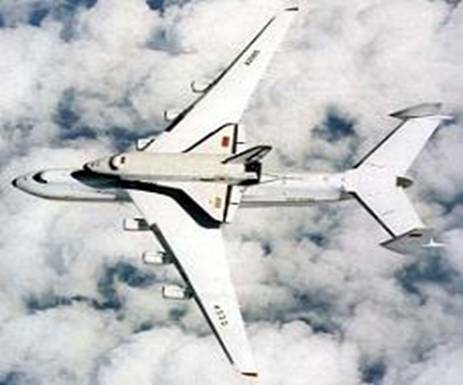 The An-225, which is built by the Russian company Antonov, was manufactured to carry the Buran orbiter, Russia’s version of the Space Shuttle. The An-225 holds over 200 records, including the world’s longest airplane at 84 meters or 276 feet. It is powered by six turbofan engines and is the largest airplane in the world; it is the heaviest aircraft with a maximum takeoff weight of 640 tonnes and the biggest heavier-than-air aircraft in terms of length and wingspan in operational service. The single example built so far currently bears the civil registration UR-82060 of its Ukrainian operator. There was only one An-225 ever built, a second was started, but not completed.